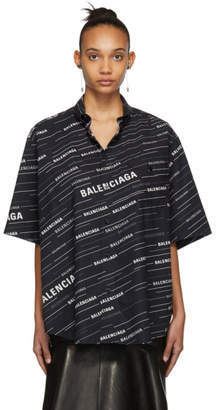 If you're searching for a blouse that's floral but not too feminine then look no further than this version by Balenciaga. 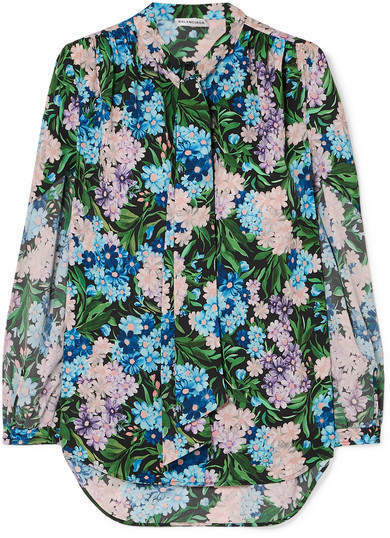 Cut from lightweight crepe in a loose-fitting shape, this style has twisted dolman sleeves that are draped to appear as though they've been turned inside out. We suggest wearing the neck ties loose to enhance the relaxed fit.